When it comes to investing we can look at all the metrics we like in regard to an individual investment, a group of investments or an entire market. Even if we like what we see, there’s one more factor that has to be considered: risk tolerance. This is where we begin to introduce personal factors into the investment process. Atlas background via Wikimedia Commons. InvestorWords.com defines risk tolerance as “an investor’s ability to handle declines in the value of his/her portfolio.” Simply put, how comfortable are you with the prospect of losing money on your investments? Age: Risk tolerance is generally in inverse proportion to age — the older you are, the less risk you should accept, the younger you are the more you can (and should) take. Income stability: A stable income provides room to take on more risk with investments. Overall financial strength: A stronger financial position (high income and savings, low debt and expenses) can accommodate risk better than a weak one can. Portfolio size: The larger your portfolio the easier it is to withstand losses and recover from them. Temperament: This is the risk tolerance “X factor” — some people just can’t stand the idea of losing any money at all, while others are gamblers by nature. Finding a way of balancing all five of these factors is the way to determine what your personal risk tolerance is. What Role Does Risk Tolerance Play in Investing? What your personal risk tolerance is will go a long way toward determining not only how you will invest, but specifically what it is you may (or may not) put your money into. One of the problems for the more risk adverse investor is that there is a correlation between risk and reward. Generally speaking, the higher the risk you assume with your investments, the greater the potential reward. That makes a strong argument in favor of having at least a portion of your investments in higher risk assets. If you invest $10,000 in a completely risk-free investment, such as a certificate of deposit (CD) paying 1% per year, it will preserve your principal value, but it will never make you rich — in fact it won’t even protect you from inflation because inflation is higher than the return you’re getting on the CD. At the opposite end of the spectrum, if you invest the same $10,000 in a growth stock, your investment won’t be safe, but the potential return is much greater. In a perfect world, your stock could rise by a factor of ten, rising to $100,000 within one year — or it could go all the way down to zero (most likely, it will do something much less dramatic). Neither outcome can happen with a CD, but that doesn’t necessarily make the CD a better investment, especially in the long run. A person with something close to zero risk tolerance may opt to invest all of his money in to fixed income, stable value vehicles like certificates of deposit, treasury bills or money market funds. A person with a high risk tolerance may choose to put 80%, 90%, or even 100% into higher risk investments like stocks and commodities. 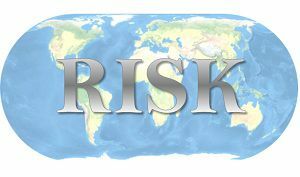 Most people fall somewhere in between on the risk meter, and will go for a mix of safe and higher risk investments. This makes establishing a portfolio that accommodates your risk tolerance and provides the best possible mix of both investment types a basic responsibility of any investor. A good portfolio should include an investment mix sufficient to maximize your returns within the framework of your personal risk tolerance. If you’re generally risk adverse, you should have most of your portfolio in safe investments (again, CDs, Treasury bills and money market funds) but still keep a minority position in risk investments (stocks, commodities, real estate, etc). Fortunately, some of the risk in these investments can also be reduced. Instead of investing in individual stocks, you can use mutual funds or exchange traded funds (ETF’s), that invest in groups of stocks. For real estate, you can use real estate investment trusts (REIT’s). If you have a high risk tolerance, you should have most of your portfolio in risk investments, but you should also have a minority portion in safe ones too. At a minimum, you’ll need to have a source of ready cash in a safe place in case the market takes a big loss and you want to go bargain hunting. If your risk tolerance is somewhere in the middle, you can practically do a 50-50 split between safe and higher risk investments. Alternatively, you can go more heavily into higher risk investments using more conservative funds, such as balanced funds that provide both income and price appreciation or sector funds like utilities that pay high dividends and offer some capital appreciation. One famous investor recommended that we “invest down to the sleeping level”, and while that may seem like an over-simplification, I think there’s a lot of wisdom in that. How well we sleep is an indication of our level of acceptance over what’s going on in our lives. If higher risk investments are keeping you awake at night, you’re probably holding too many of them. Good advice? Hi Emily–Or maybe we can call it “time horizon”. Yes, that’s another one. If you don’t have a lot of time before you’ll need the money, you’ll want to keep it more conservatively invested. Thanks for adding this! I want to add to the list of risk factors: your financial goals. For example, if you are hoping to have X amount of money in a certain amount of time, you might decide to put it in annuities or other non-volatile products instead of mutual funds.